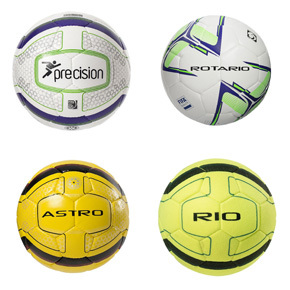 Precision offers a range of specialist footballs for different playing conditions. Whether you need a ball that can be relied upon for hours of continuous, grass-roots training, or a match ball of international standards that must perform flawlessly for an intensive 90+ minutes of top-flight competition, Precision has the answer. Precision offer indoor, hard ground and astro balls, bringing the beautiful game to any situation without compromise in ball performance. We stock a good range of Precision footballs in store.